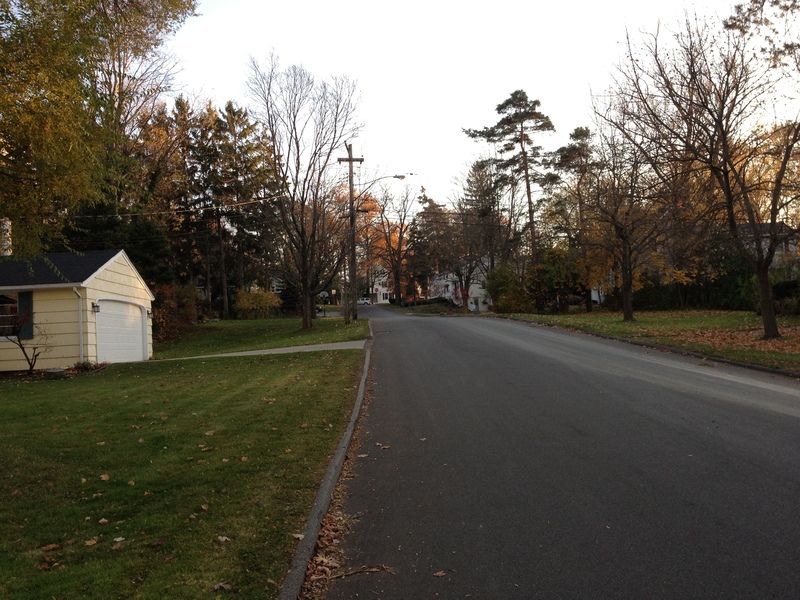 This is the top of our neighborhood where the road meets up with Quaker (a.k.a. 20A) which is the road that takes you to East Aurora. It extends east that way (the way you’re looking, above) and west through Orchard Park and further past the Bills stadium and, eventually, turns into Southwestern Blvd., which is a main thoroughfare here and also the street on which the Y resides. 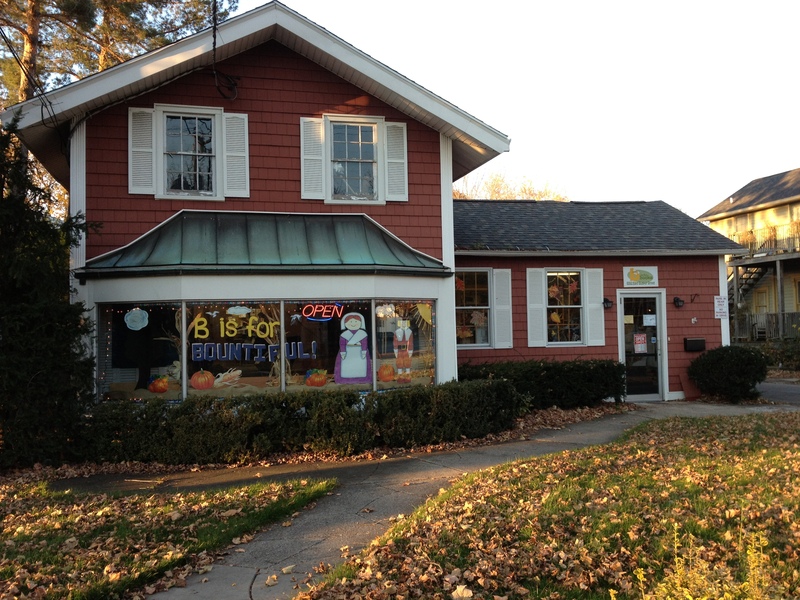 And this even more adorable children’s bookstore called “B is for Books.” The name is interesting, though, since I came to find out through writing an article for the paper that the owner’s last name actually starts with a ‘B,’ so I thought that was neat. It’s the kind of place I can envision myself going once we have kids, although by that time I’m hoping we’re settled in East Aurora! 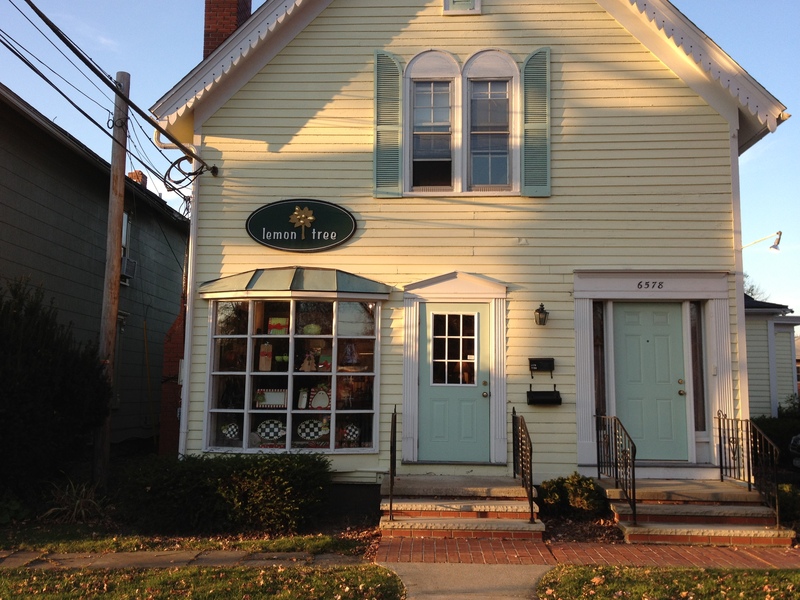 There is a used bookstore in EA, as well as the library on Main Street, so those will have to do. 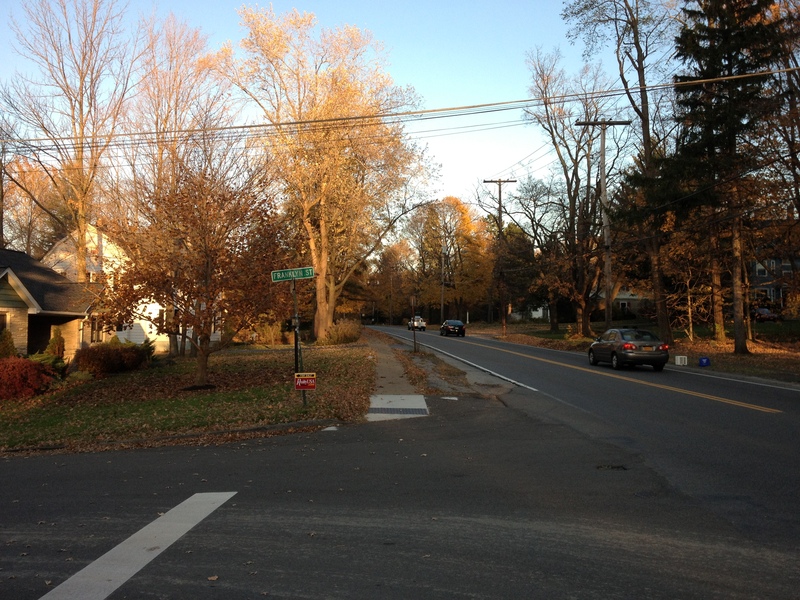 Here’s a shot from the intersection of Quaker and Buffalo Roads, the main intersection of Orchard Park. 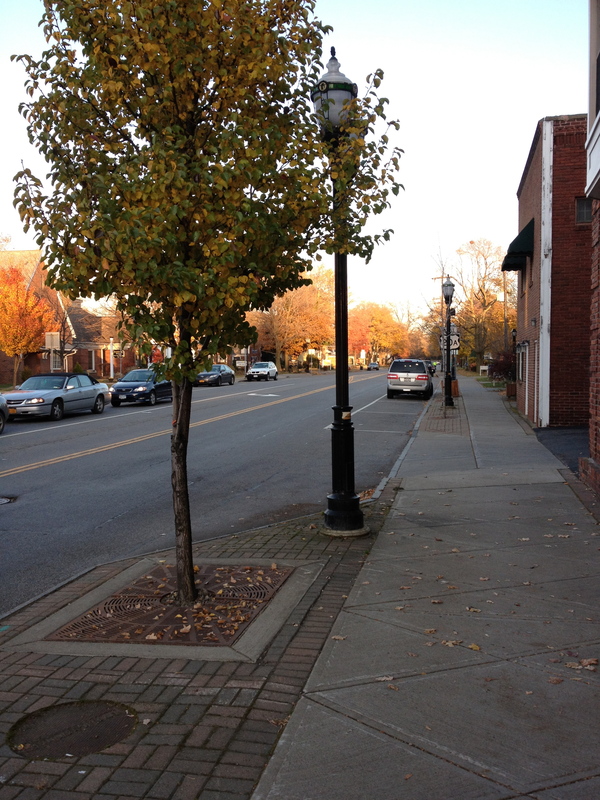 I love the lampposts–they’re the kind that play music, too. 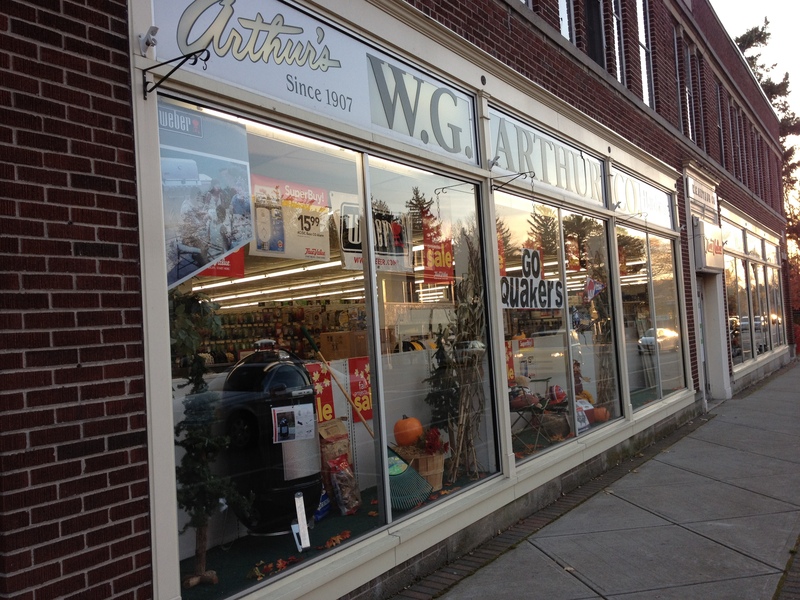 Here’s the hardware store, around since 1907. It’s no Lowe’s, but it has the necessities and is way closer (and walkable! ), which I love. And I love shopping locally. I think it’s becoming more and more important these days to do that. I’m not saying I’m ready to swear-off my Honda Pilot or other foreign-made goods (I’m all for good, old-fashioned capitalism), but when all things are equal, I’d rather support the local economy and reduce my carbon footprint. And we’re back! 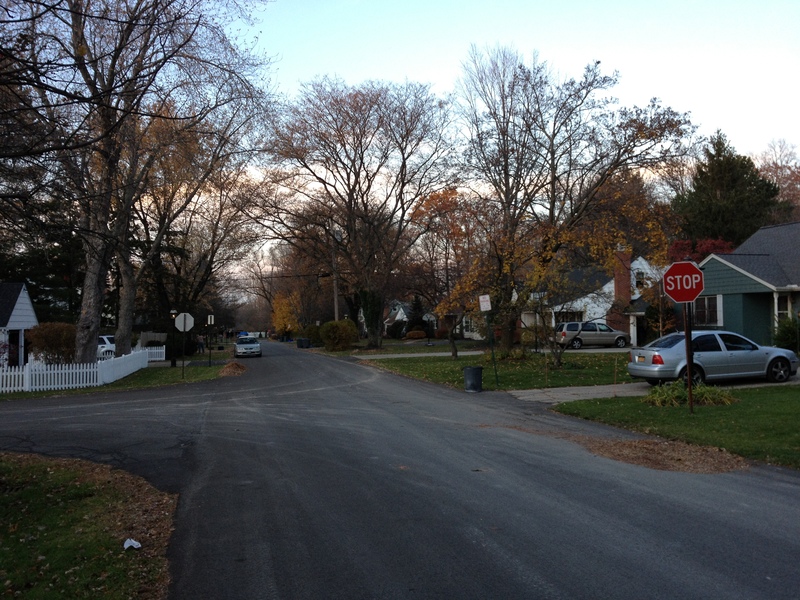 Here is our actual street and our house is about two past the stop sign on the right. It’s a cute little street filled with cute houses and youngsters. Ours, as a rental, leaves a bit to be desired in the curb-appeal category, but it gets the job done. Posted on January 19, 2012 February 27, 2016 by thehealthypineapplePosted in Slice of LifeTagged East Aurora, House, local/organic, moving, New York, orchard park.